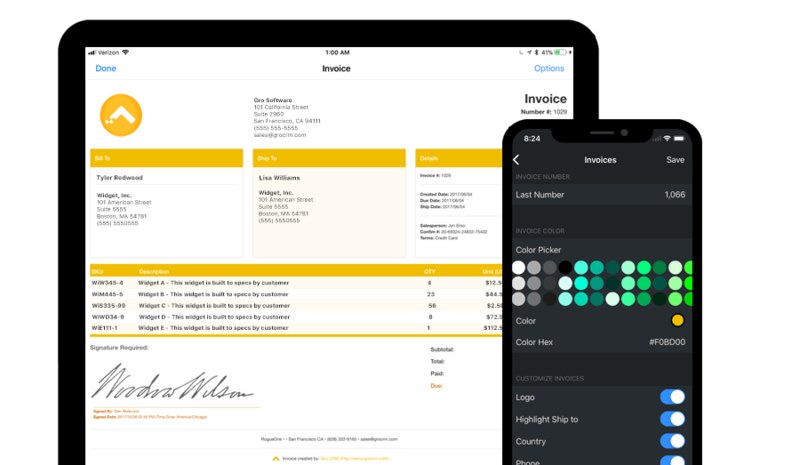 Customize and personalize your quotes and invoices. Need to add email or VAT? Just flip that option on. Want to add your logo, just upload. Plus many more options. Want to have all your clients sign when you give them a quote, no problem with invoice signatures! Email, print or message a copy when done to your client. Gro CRM allows you to accept, track and process credit cards, cash, checks and other types of payments from your customers. Billing made ridiculously easy! With Gro CRM, it is easy to keep track of your customer's billing statements. 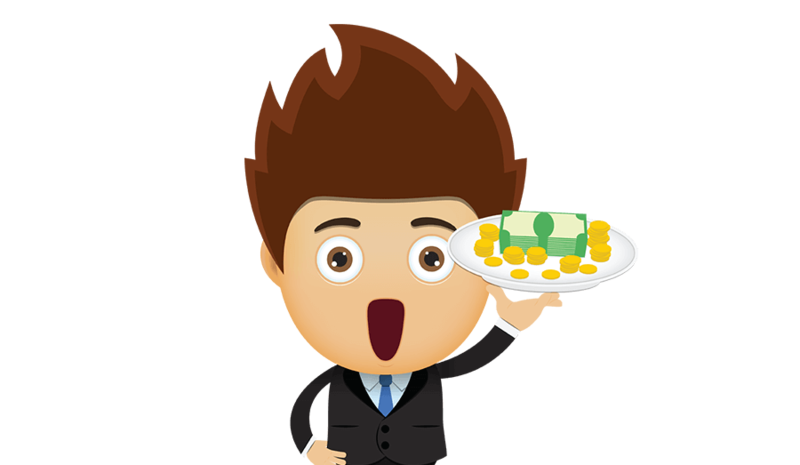 Create customized professional looking invoices and quotes in seconds.